Yuvraj Group of companies dates back to early seventies, when Mr.Balasubramaniam, Founder Chairman of Yuvraj group had a vision which most of them at the age considered as a dream. Not only was he entrepreneur but also a bold person who took to the edges of the world to market himself. 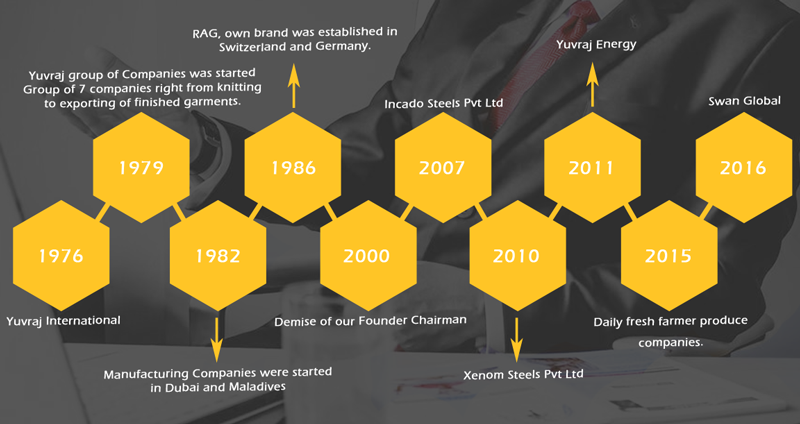 He took over the entire export market of knitted garments by storm and set up the first fully integrated manufacturing line, Yuvraj International by 1976. “Yuvraj® Energy” is the latest addition to the existing Yuvraj Group of companies, who are into manufacturing, exports, retailing of Textiles, promoting real estate’s business for more than a decade in Tamilnadu. We, at YE offer a range of technologically innovative green products to help improve energy efficiency and realize substantial long-term cost savings. We work hand in hand with our partners to tailor make the best green solutions for our client’s particular needs. We provide Energy solutions ranging from a small single bedroom apartment to massive industries and from small clinics to a specialty hospital. We also provide solar pumping system for farmers for continuous water supply. Our Team has close to 145 Mw Solar installation& consultation experience and can provide end to end solutions. Erected nearly 100 no’s of 5 HP Solar water pumps under Tamilnadu Government 80% Subsidised Solar water pump scheme. 75 Kw of Ongrid Ground mount solar power plant for Lighthouses in Tamilnadu. 80 Kw Ongrid rooftop solar plant with elevated structures for Shilpa Medicare Pvt Ltd., Raichur, Karnataka. Other Multiple 20 &30 Kwp Rooftop ON-GRID system at Madurai Coimbatore and Hyderabad. Multiple 5Kwp Rooftop installations for IOCL Vendors in Madurai, Tenkasi, and Sivagangai. With Mahindra Susten for the marketing and project execution in the region of Coimbatore, Tamil Nadu. Our customers today are proud owners of some of India’s Finest plants with 2%-5% higher generation as compared to other similar PV Plants. In-house design and engineering team, efficient construction teams, and deep industry & technology know-how are our forte. 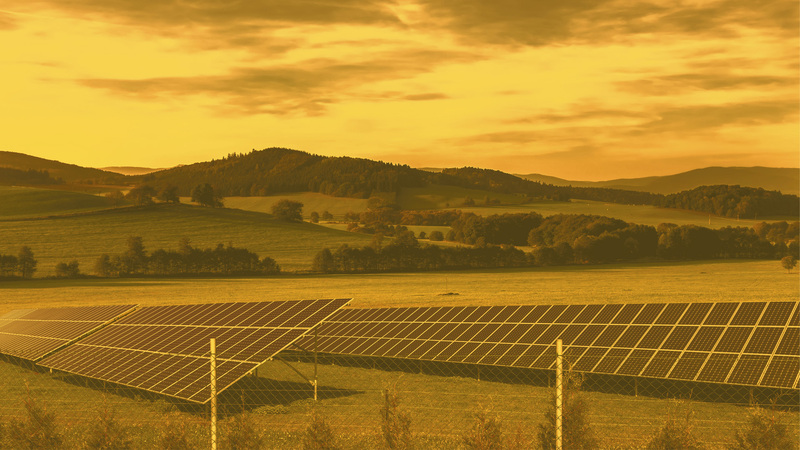 Our customers also enjoy the benefits of the advisory services that help them understand and gain clarity on aspects of financing, policies, land, fiscal benefits, and regulatory approvals to successfully install solar power plants. Yuvraj Energy goes beyond the contract and provides value engineering to ensure that customers reap the maximum benefits. YE has a total experience of close to 150Mw till date; which included Utility-scale power, rooftop solar both on-grid and off-grid, Microgrid, Solar water pumping system, etc. Rooftop solar installations are quick, easy and cost-effective solutions for solar power generation and contribute to reducing carbon footprint. YE provides design, engineering, procurement and construction of Rooftop solar PV plants from a few kW to Mw scale. With the capability for both stand-alone and grid-connected solar PV power plants, YE has commissioned close to 1 Mw of solar rooftops till date. We have experience in all types of roofs from RCC to slanted metal sheets. Harnessing the energy of the sun to generate clean/green useful energy to run a water pump/motor to deliver an uninterrupted supply of water is the motive behind the development of YE Solar Pumping System. Even though the national and state government have taken numerous efforts and steps to provide uninterrupted power supply, lack of a steady source of grid electricity causes severe hardship to people despite having adequate water sources. A utility-scale solar power plant can be one of several solar technologies – concentrating solar power (CSP), photovoltaics (PV), or concentrating photovoltaics (CPV). What distinguishes utility-scale solar from distributed generation is project size and the fact that the electricity is sold to wholesale utility buyers, not end-use consumers. Utility-scale solar plants provide the benefit of fixed-priced electricity during peak demand periods when electricity from fossil fuels is the most expensive. TE has successfully completed 15.2Mw of projects under utility scale. Yuvraj Energy Tubular Batteries are from ISO9001:2008 certified manufacturer of Lead Acid Storage Batteries with excellent qualities, our unique design improves the longer life of the Batteries. Our long-lasting batteries carry attractive warranty features and are extremely affordable. Yuvraj Energy Tubular batteries are designed by professionals to provide most efficient power solutions. #306-C, PSG Software Park -II, Peelamedu, Coimbatore-641 004. Tamilnadu INDIA.